There is a new Diamond Jeweler application in town. 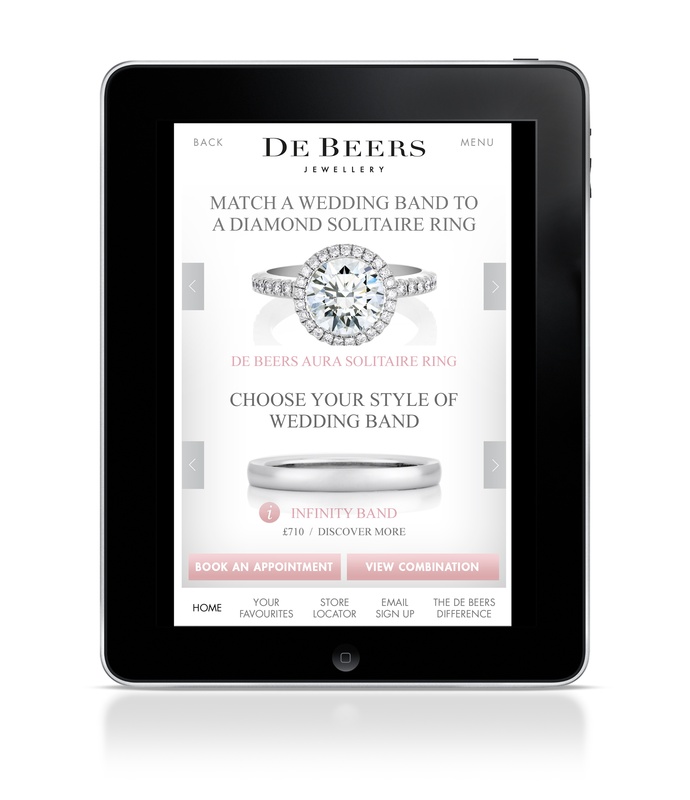 De Beers Diamond Jewellers has launched their new Bridal iPad and iPhone app. Complimenting the De Beers website www.debeers.com, this new app is available in five different languages worldwide so no matter where you are, you’ll understand. This marks an important step for De Beers Diamond Jewelers. “It is a truly immersive experience that brings our engagement rings and bridal jewelry to light – with beautiful images and bespoke content from diamond jewelry experts. We see it as the definitive diamond wedding jewelry information resource, expressing our role as the diamond mentor for consumers,” said Francois Delage CEO De Beers Diamond Jewelers. The new De Beers application is the ultimate, innovative mobile destination that helps you discover the perfect diamond jewelry for this important moment in your life. Through engaging and inspiring content, it allows you to search for the perfect De Beers engagement ring, as well as matching wedding bands and complimentary wedding day jewelry. There is an exclusive selection of videos offering expert advice on how to choose the best ring for you, truly at the touch of your fingertips. Best of all, it tells you where the nearest store location to you is and will help arrange an appointment for you to try on. Of course it also features beautiful images that let you play around with and are easy to share through email, twitter and of course Facebook. There are diamonds and then there are diamonds by Jacob & Co. Many years ago, Jacob & Co., were known only as the jeweler for celebrities and while they still have a huge celebrity following, they also have some wonderful rings for the superstar in your life. So if you are planning to ask your loved one this holiday season to share the rest of your life together; Jacob & Co. has the ring that will last a lifetime. Cushion Cut 2.33ct. Diamond Engagement Ring in a Split Shank Mounting. Available in Platinum. 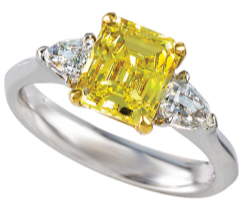 Fancy Vivid Yellow Engagement Ring Featuring 2.43ct. Emerald Cut Center, Flanked by Two Pear Shaped White Diamonds. Available in Platinum and 18K Yellow Gold. 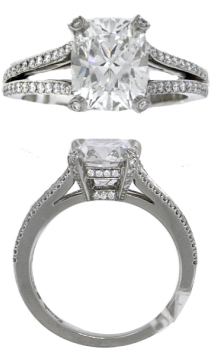 Ladies Three Stone Diamond Engagement Ring Featuring 2.41ct. Emerald Cut Center, and Emerald Cut Side Stones. Available in Platinum. 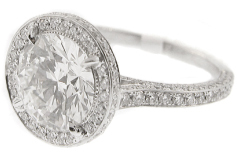 Round Brilliant Cut Diamond Engagement Ring, in a Micro-Pave Diamond Setting. Center is 2.24ct. Round Brilliant, Surrounded by White Diamond Pave. Available in Platinum. All of these beautiful rings can be customized making them truly one of a kind.